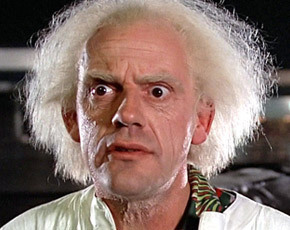 Christopher Lloyd is an American actor, voice actor, and comedian. Lloyd came to public attention in Northeastern theater productions during the 1960s and early 1970s, earning an Obie Award and a Drama Desk Award for his work. He made his screen debut in One Flew Over the Cuckoo’s Nest (1975), and gained widespread recognition as Jim Ignatowski in the comedy series Taxi (1978–1983), for which he won two Emmy Awards. Lloyd also starred as Emmett “Doc” Brown in the Back to the Future trilogy, Judge Doom in Who Framed Roger Rabbit (1988), and Uncle Fester in The Addams Family (1991) and its sequel Addams Family Values (1993). Lloyd earned a third Emmy for his 1992 guest appearance in Road to Avonlea, and won an Independent Spirit Award for his performance in Twenty Bucks (1993). He has done extensive voice work, including Merlock in DuckTales the Movie (1990), Grigori Rasputin in Anastasia (1997), The Woodsman in Cartoon Network miniseries Over the Garden Wall (2014), and the Hacker in PBS Kids series Cyberchase (2002–present), which earned him two further Emmy nominations. He has also been nominated for two Saturn Awards and a BIFA Award. Previous PostPrevious Creed Bratton joins The Office line-up! Next PostNext Rubinstein and Starlin join Featured Artist Lineup!